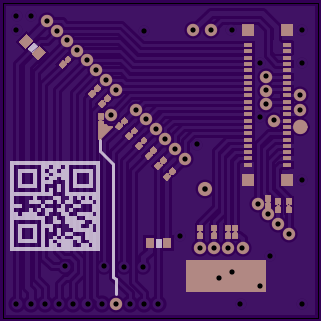 2 layer board of 0.45 x 0.55 inches (11.5 x 14.1 mm). Uploaded: October 30th, 2013 05:08. 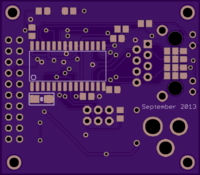 2 layer board of 1.63 x 1.33 inches (41.4 x 33.7 mm). Uploaded: October 30th, 2013 03:25. 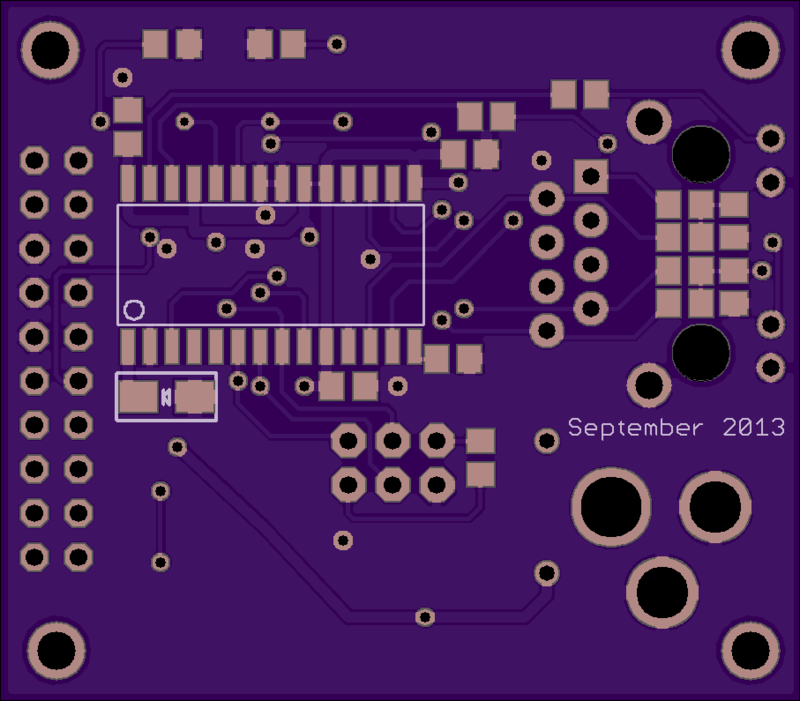 2 layer board of 3.50 x 4.75 inches (88.9 x 120.6 mm). Uploaded: October 29th, 2013 18:30. 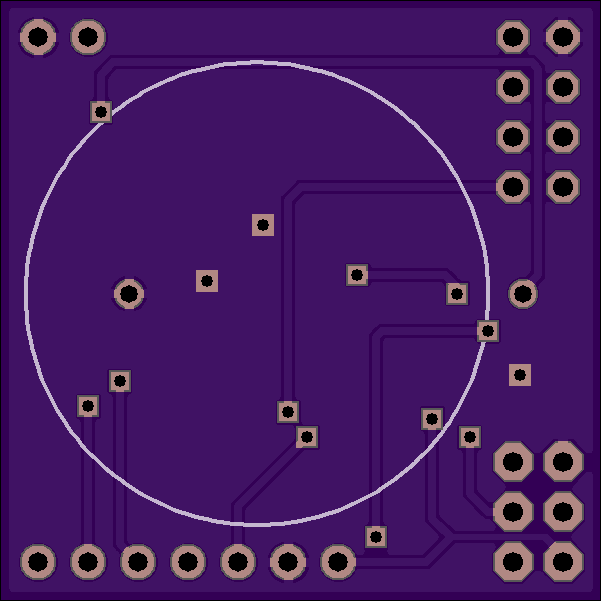 2 layer board of 1.15 x 1.55 inches (29.2 x 39.4 mm). Uploaded: December 28th, 2012 16:37. 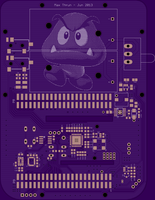 2 layer board of 1.05 x 2.20 inches (26.7 x 55.9 mm). Uploaded: December 28th, 2012 17:09. 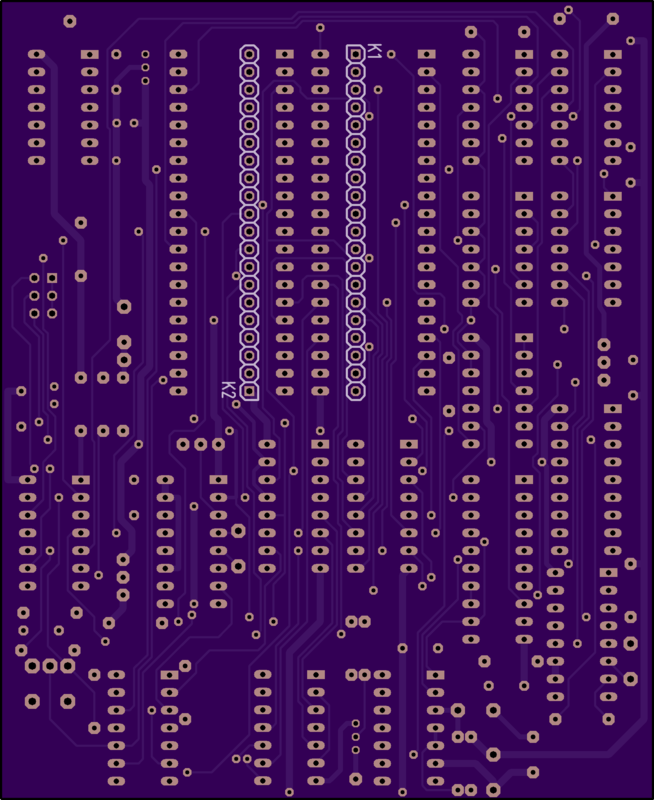 2 layer board of 1.22 x 0.66 inches (30.9 x 16.8 mm). Uploaded: October 7th, 2013 04:47. 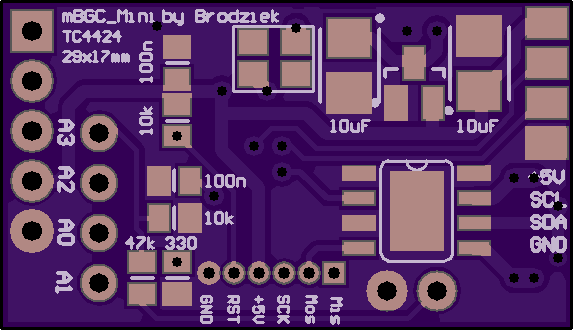 Breakout board for the RN42 bluetooth module. 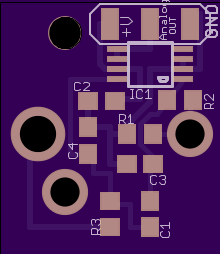 should mark each pins function on board. 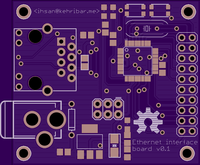 2 layer board of 1.15 x 0.66 inches (29.1 x 16.8 mm). Uploaded: October 25th, 2013 23:53. 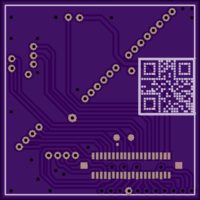 2 layer board of 0.79 x 0.79 inches (20.0 x 20.0 mm). Uploaded: October 27th, 2013 18:05. 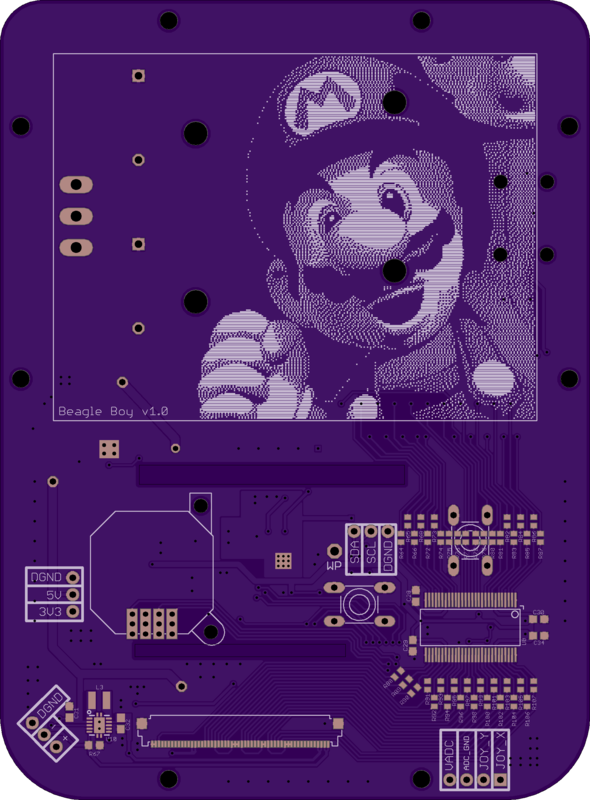 2 layer board of 3.69 x 4.51 inches (93.6 x 114.6 mm). Uploaded: September 15th, 2013 06:50. 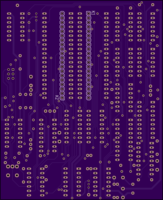 An improved replica of the LNW80 doubler for the LNW80 and TRS-80 Model I, designed by Pascal Holdry. Design is copyright 2011 by Pascal Holdry, free for personal use. Please see http://home.online.no/~kr-lund/DoubleurLNW80_3-5-8.zip for more information. 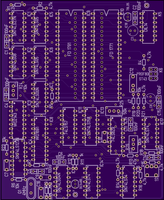 2 layer board of 0.80 x 2.00 inches (20.4 x 50.9 mm). Uploaded: August 20th, 2013 16:04. 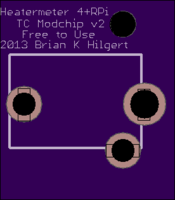 Adapter designed to mount on the rear of a HD44780 LCD to enable easier connection of a ribbon cable. 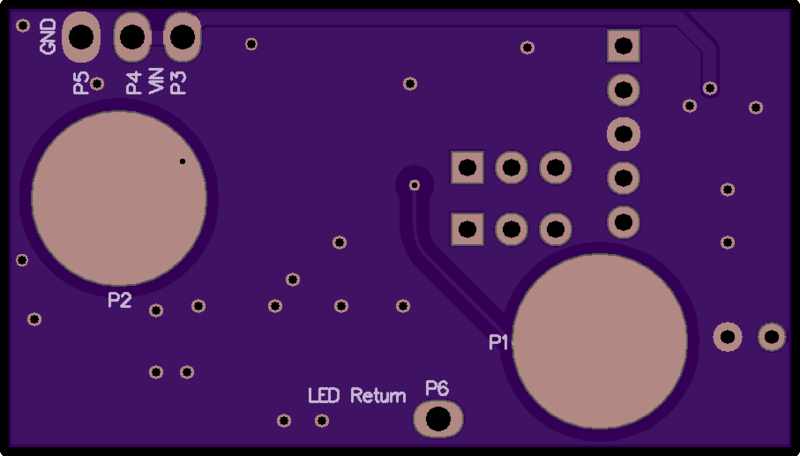 18x1 header down to 7x2 for compatability with both regular and RGB backlit devices. 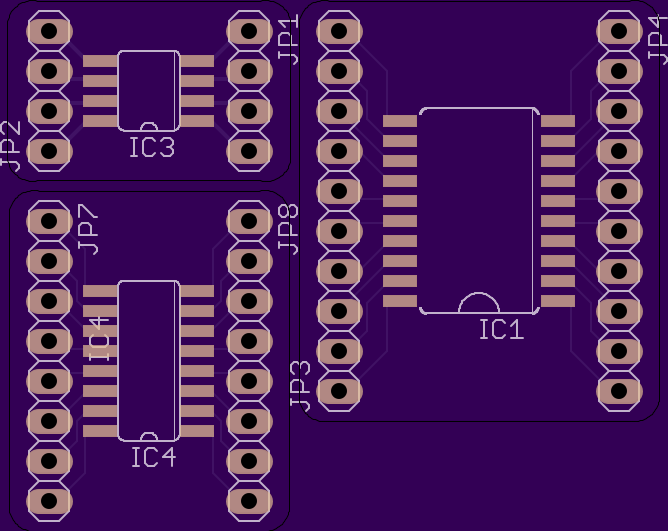 If using with a standard 16 pin device, mount a 6x2 header and leave the leftmost pins (closest to JCF 2013 marking) disconnected. 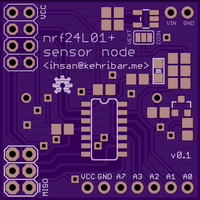 Connects only D4-D7 so the LCD must be used in 4-bit mode. 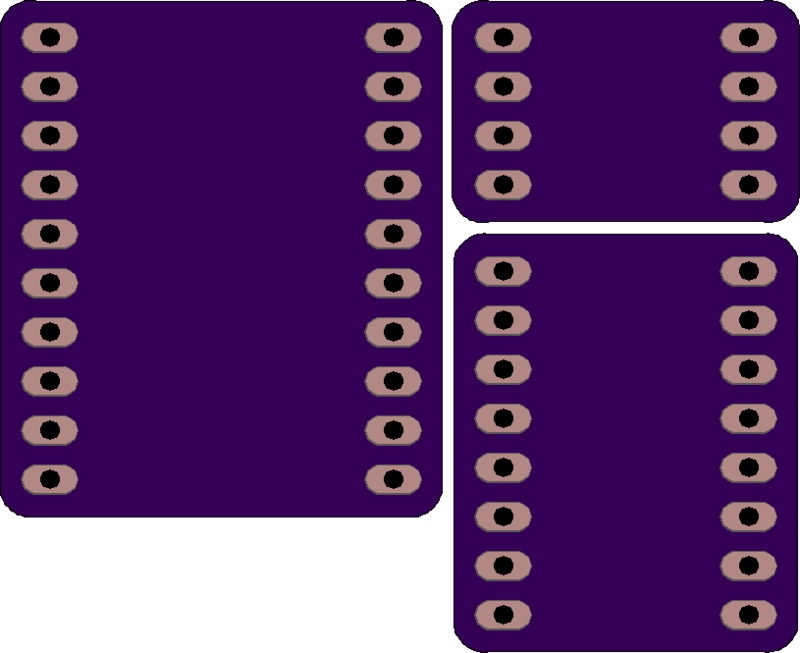 2 layer board of 1.91 x 1.38 inches (48.6 x 35.1 mm). Uploaded: October 26th, 2013 15:04. 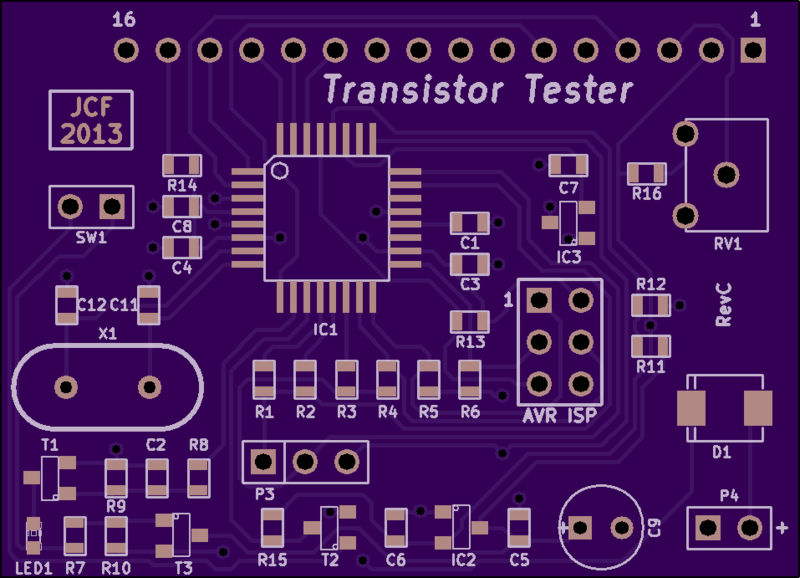 Transistor & component tester. Based on designs from Markus Frejek, Karl-Heinz Kübbeler & Markus Reschke. http://www…. 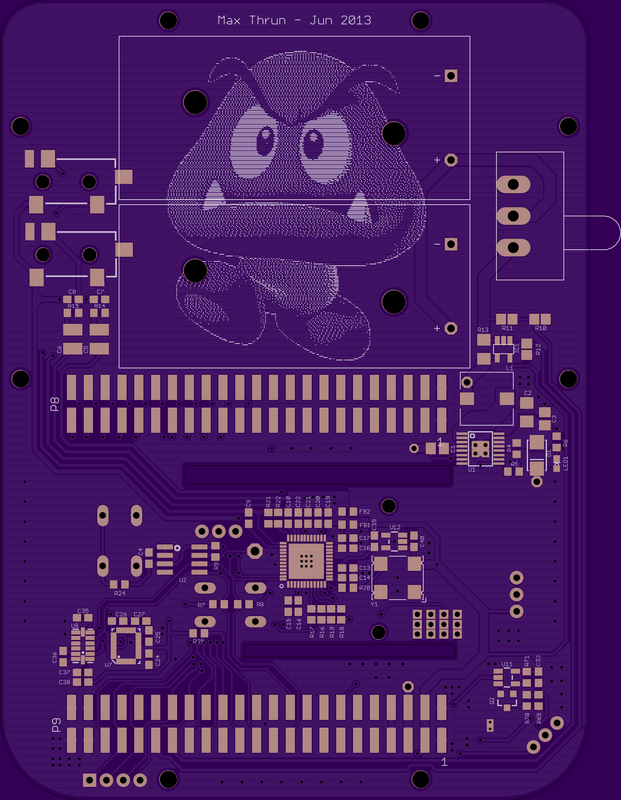 2 layer board of 0.65 x 1.32 inches (16.5 x 33.5 mm). Uploaded: October 26th, 2013 12:39. 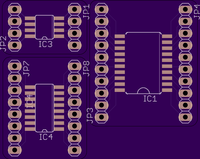 Land ribbon cable from Raspberry Pi's GPIO Header in inner holes, DIP headers for breadboard in outer. 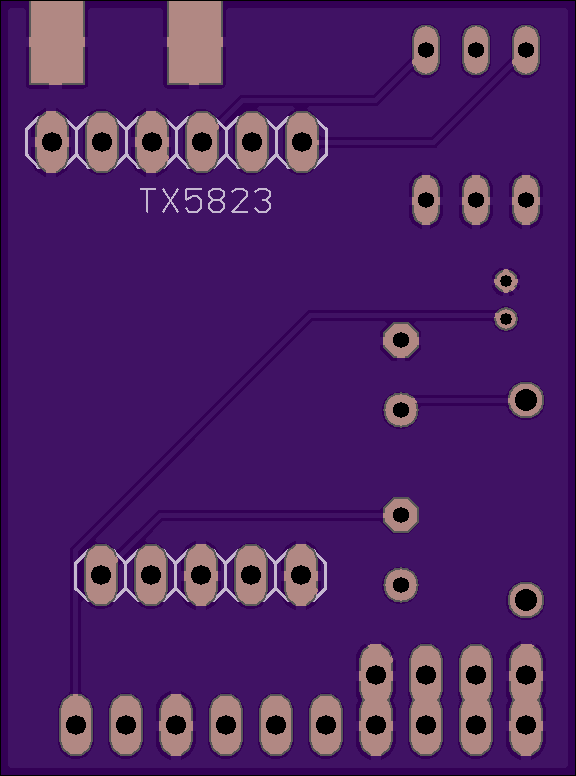 Land ribbon cable from Raspberry Pi’s GPIO Header in inner holes, DIP headers for breadboard in outer. 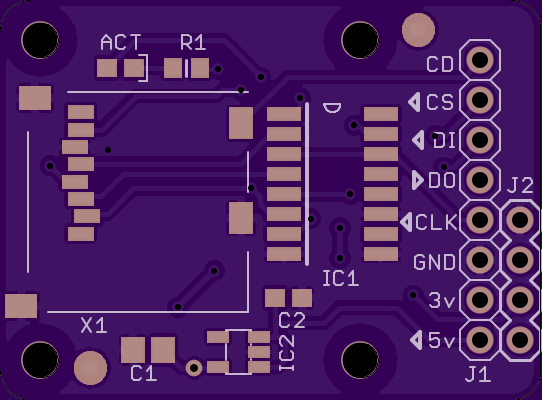 2 layer board of 1.35 x 1.13 inches (34.3 x 28.6 mm). Uploaded: February 13th, 2013 11:37. 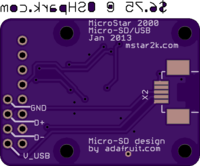 Test share… This is a combined uSD and USB interface for Gordon Anderson’s MicroStar2000 Encoder. 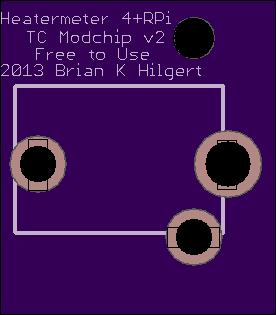 Shared Mouser project to order components. 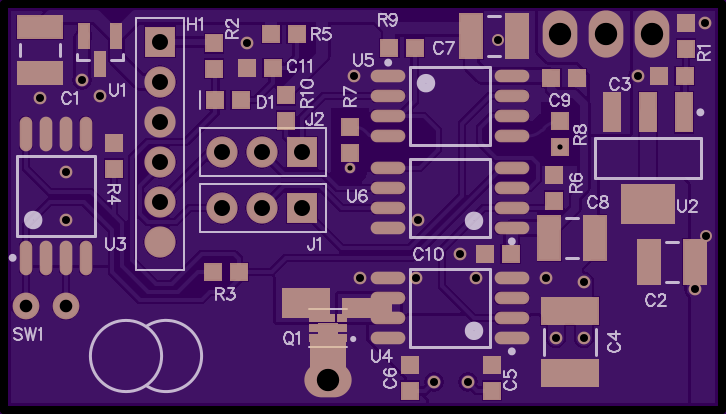 Firmware supporting the SD card has not yet been released, but this board would be functional with many other microcontroller projects. 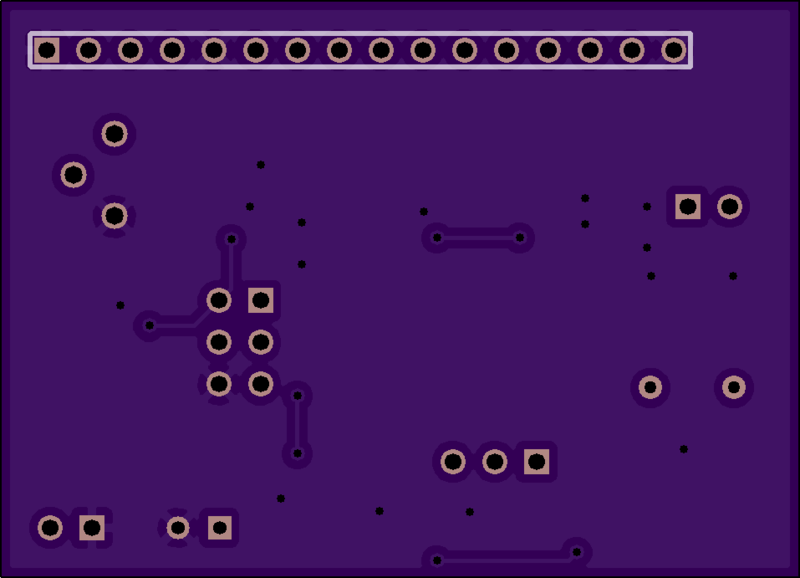 2 layer board of 2.79 x 0.80 inches (70.8 x 20.3 mm). Uploaded: September 4th, 2013 17:28. 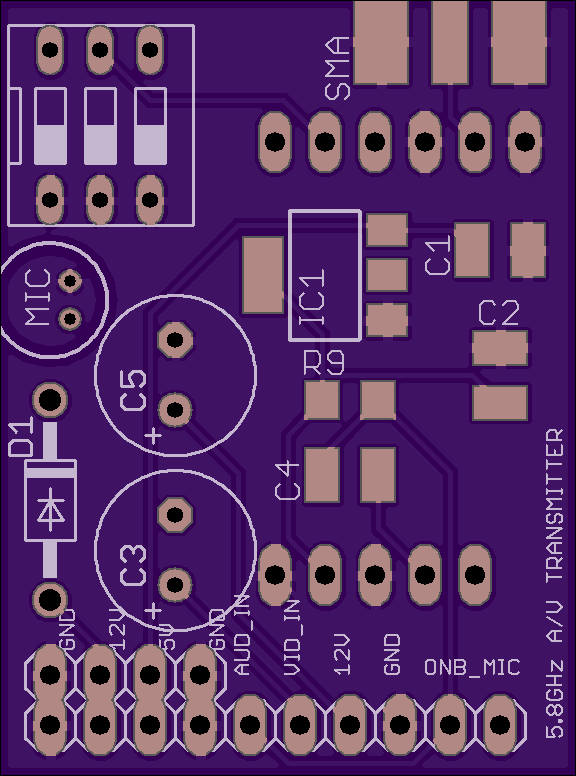 ATMEGA328-PU TV Out Atmega328 Minimal configuration with 16Mhz resonator. CR2032 will give you 10-15min of power. I’m at 10+ hrs running with 3xAAA batteries so far. Code for TV Out can be found online easily. 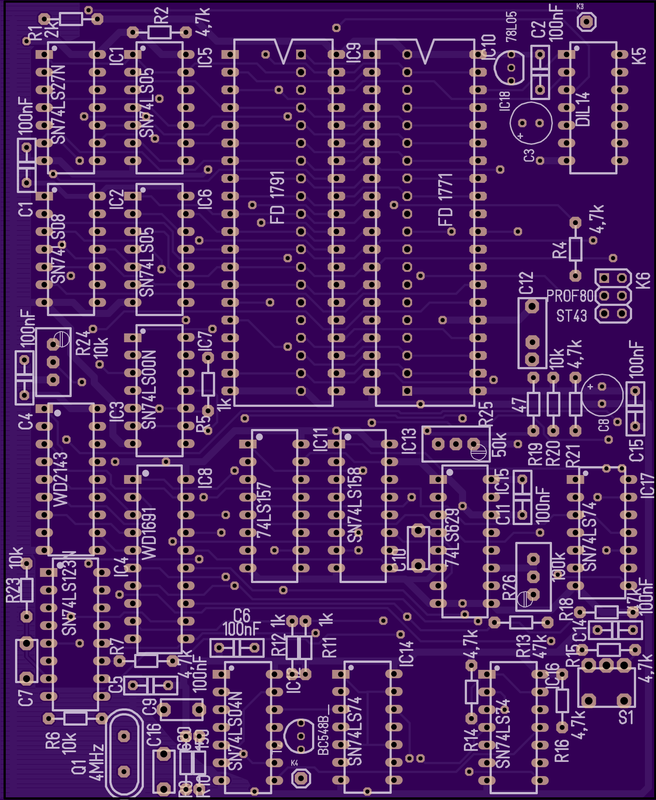 2 layer board of 1.20 x 1.20 inches (30.5 x 30.5 mm). Uploaded: April 25th, 2013 07:41. 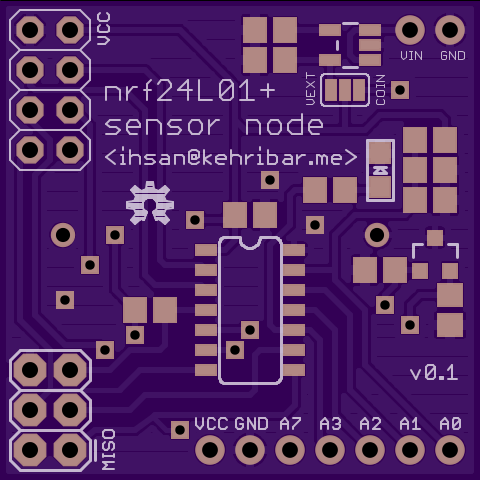 Wireless sensor node board for nrf24l01+ RF transceiver with Attiny84. 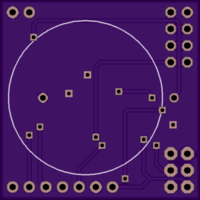 2 layer board of 1.81 x 1.59 inches (46.0 x 40.3 mm). Uploaded: September 28th, 2013 19:07. 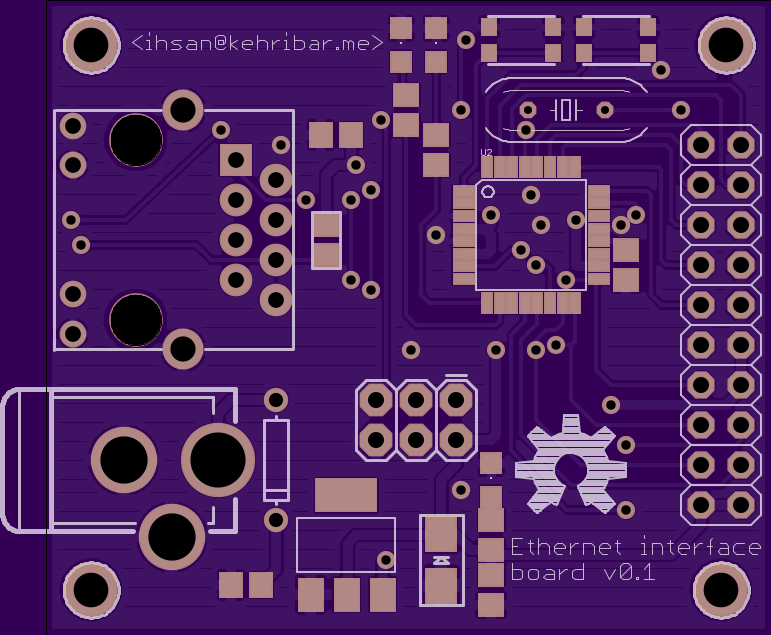 Yet another ethernet gateway design. 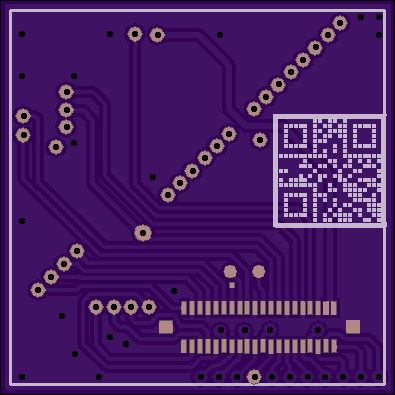 2 layer board of 0.55 x 0.63 inches (14.0 x 16.0 mm). Uploaded: October 25th, 2013 00:59. 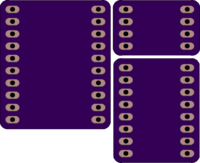 2 layer board of 1.82 x 1.04 inches (46.1 x 26.3 mm). Uploaded: October 24th, 2013 14:57. Cypress Capsense Express CY8C20142 SOIC-8 IC breakout. 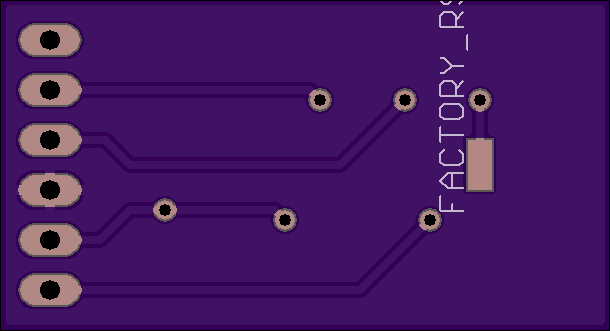 2 layer board of 0.50 x 1.09 inches (12.7 x 27.6 mm). Uploaded: January 21st, 2013 16:41. 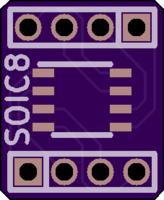 Includes i2c connectors, and room for optional pull-up resistors. All SMT parts are sized 0805. Protection resistor pads are 560ohm. 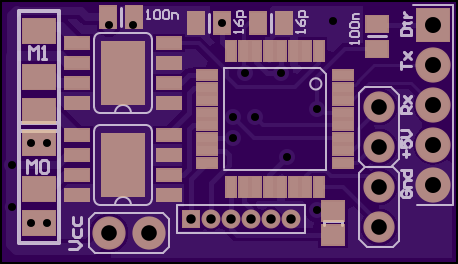 2 layer board of 0.61 x 1.97 inches (15.4 x 50.0 mm). Uploaded: January 27th, 2013 16:46. 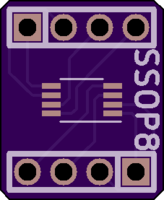 Cypress Capsense Express CY8C20110 SOIC-16 IC breakout. Includes i2c connectors, and room for optional pull-up resistors. 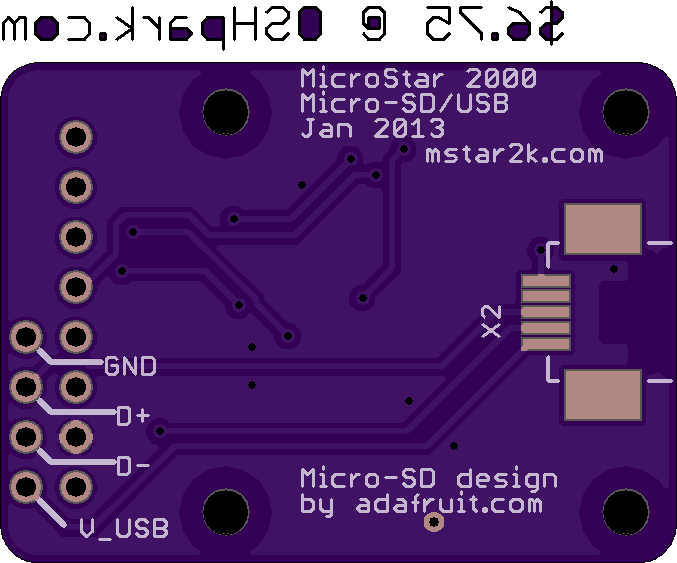 All SMT parts are sized 0805, except for LED pads which are 1205. Protection resistor pads are 560ohm.